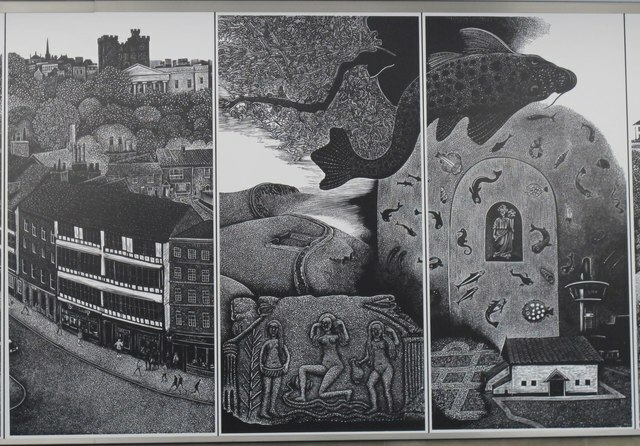 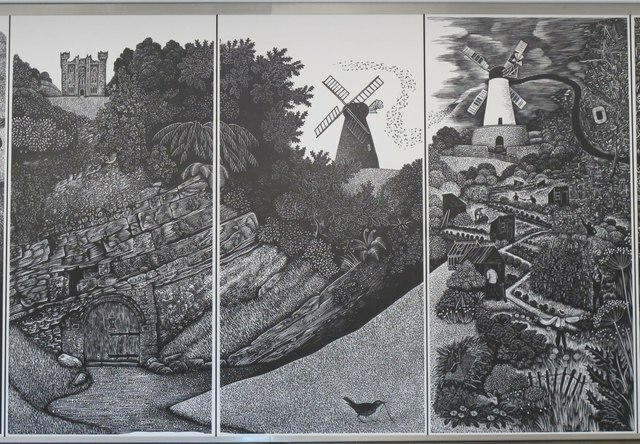 This work in Central Metro Station in Newcastle is by wood engraver Hilary Paynter, marking the 250th anniversary of the birth of Thomas Bewick. 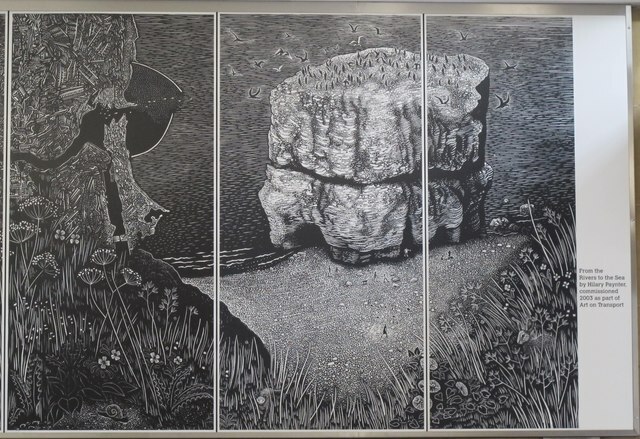 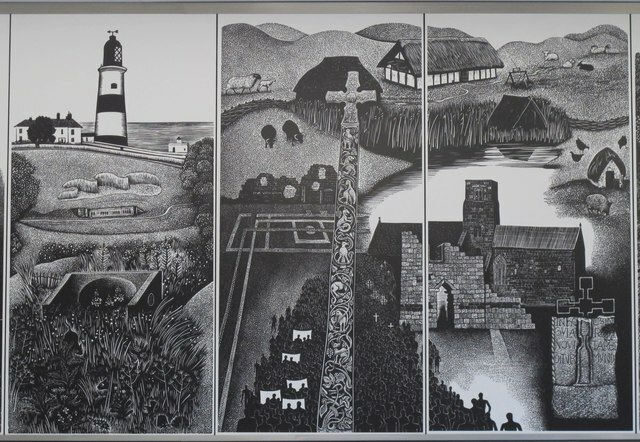 The wood engravings are reproduced as enamel panels and were installed in the concourse which linked the station’s two platforms in 2004. 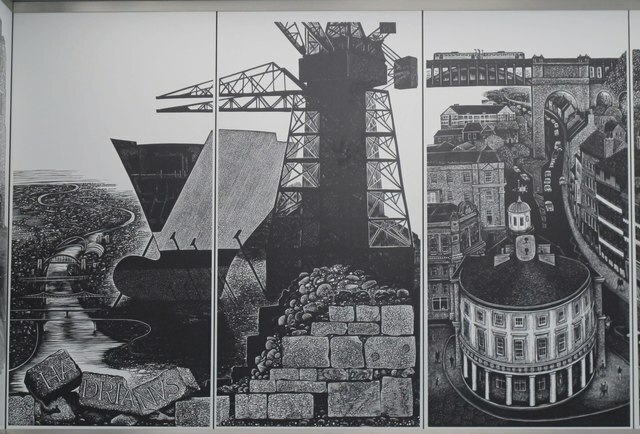 As part of the refurbishment of the station in 2016, the work was relocated to the elevator concourse within the station.